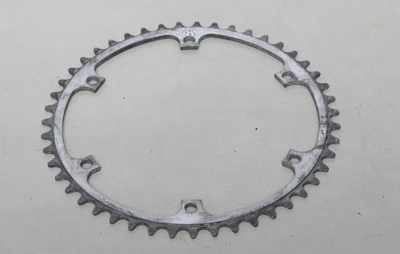 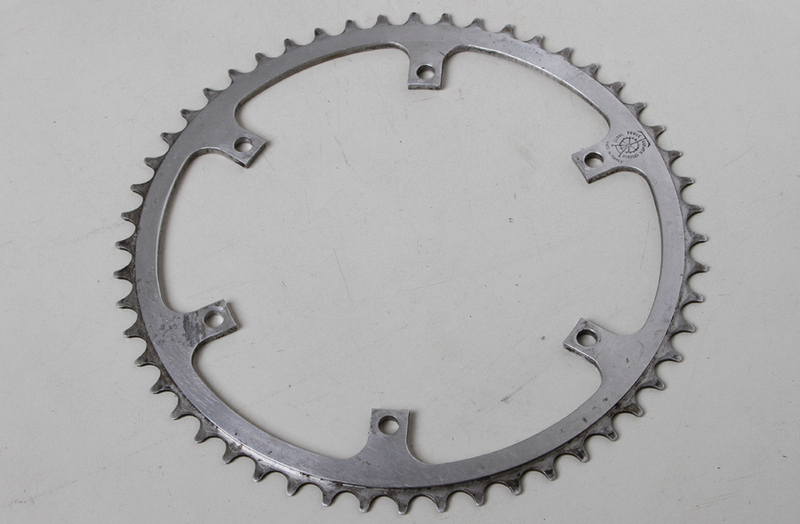 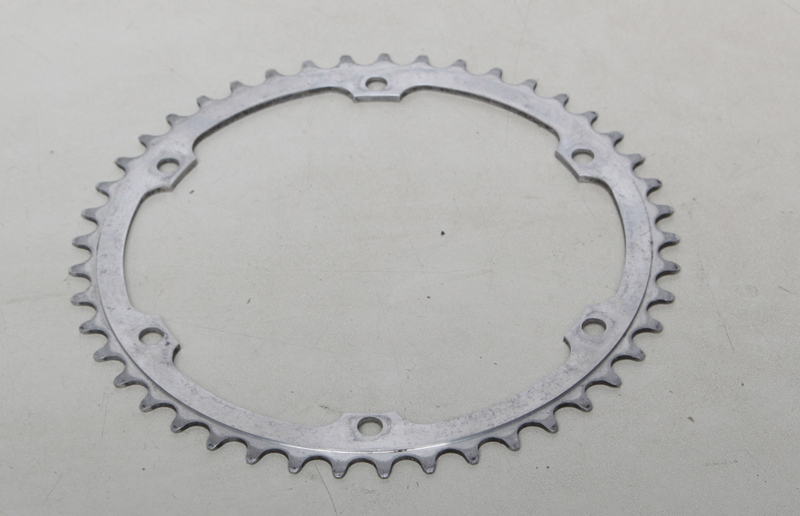 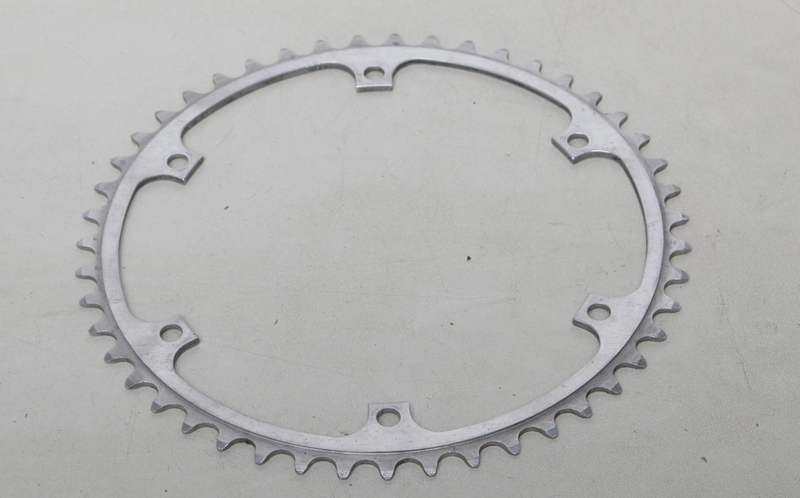 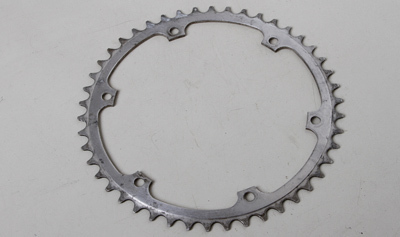 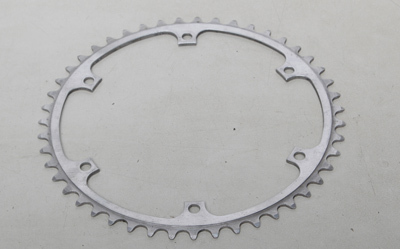 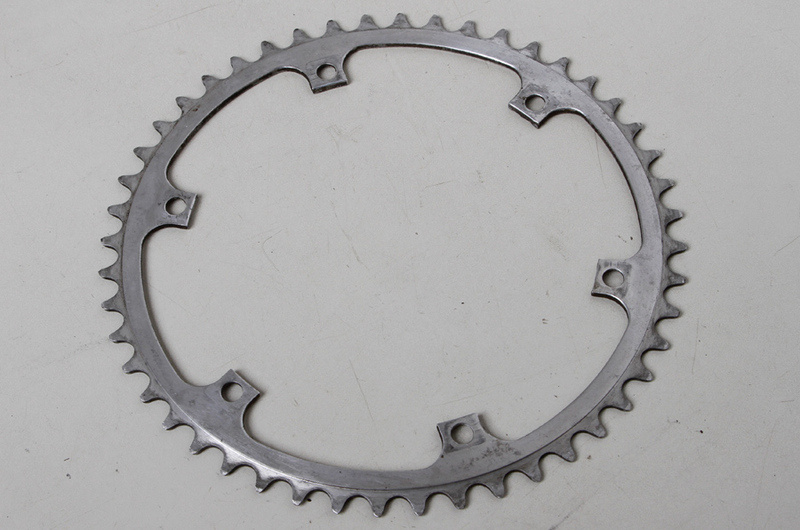 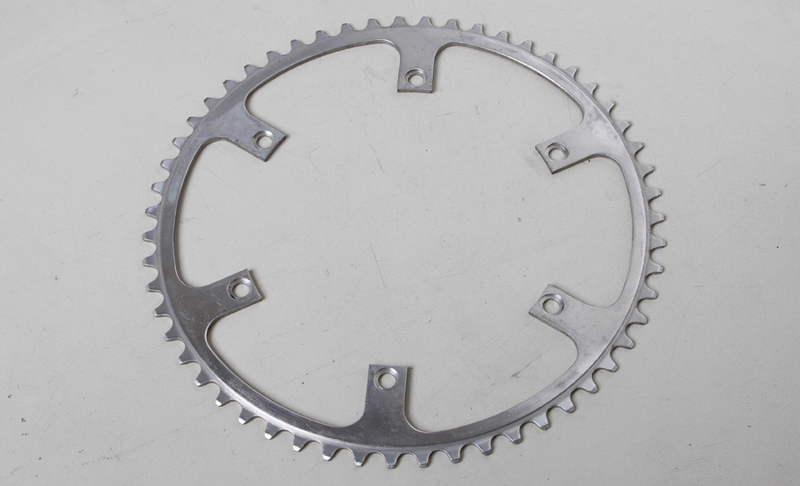 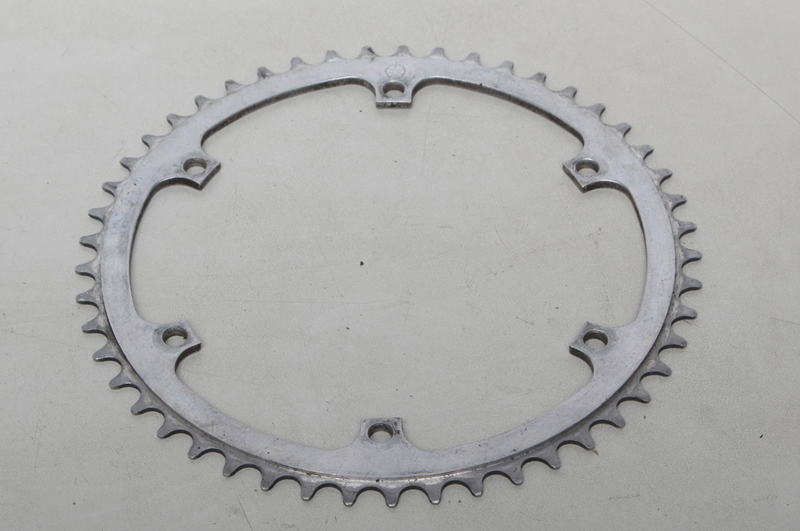 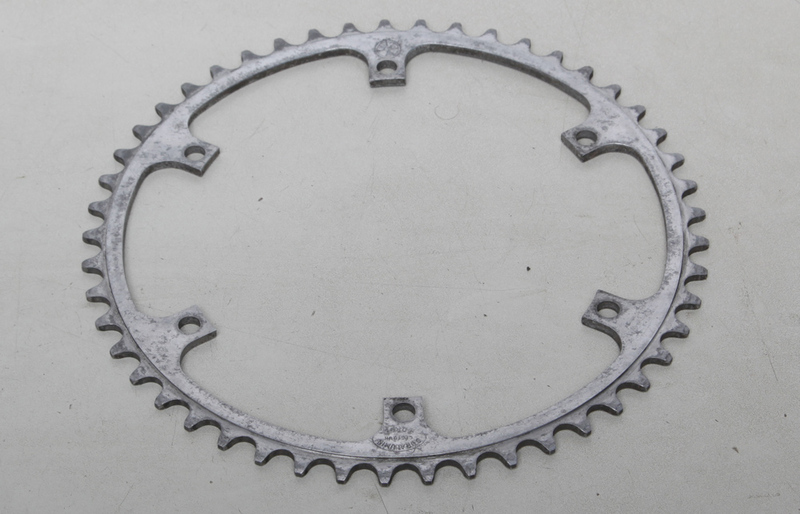 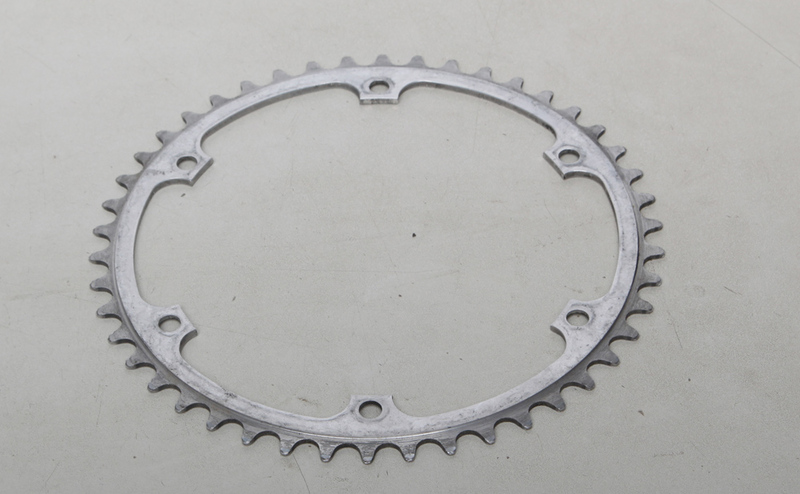 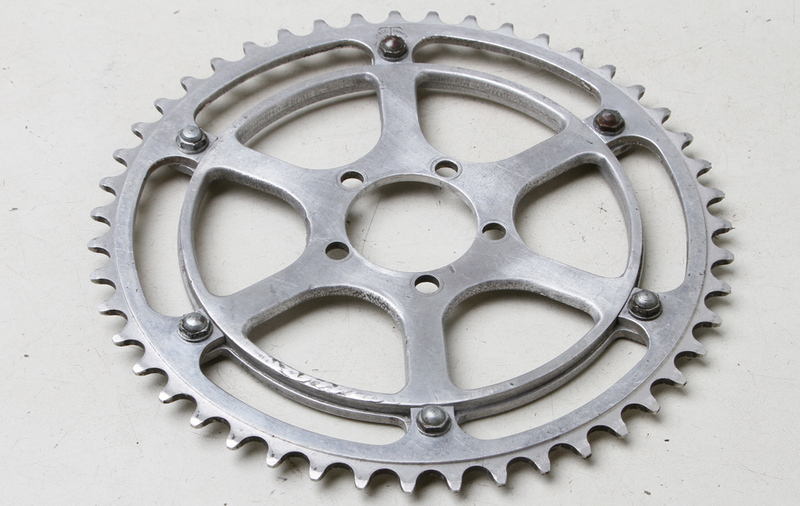 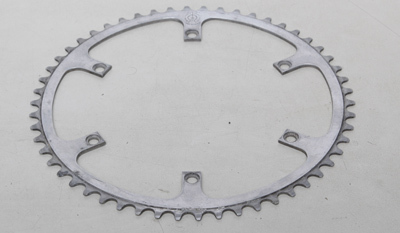 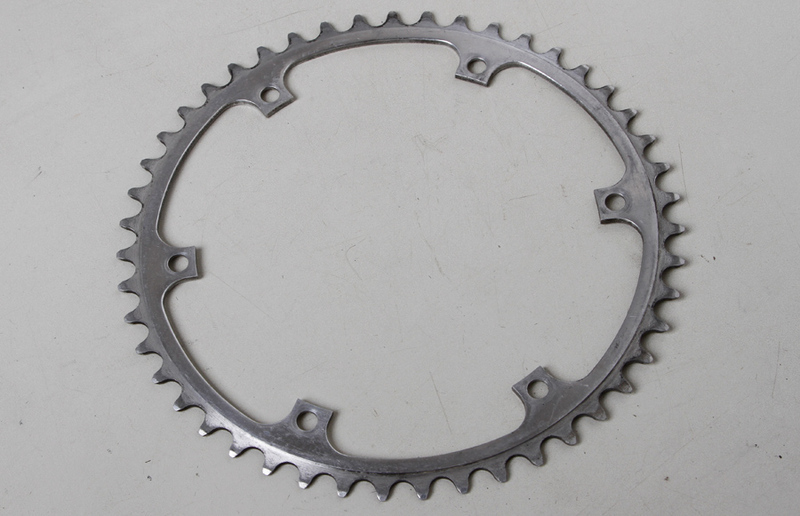 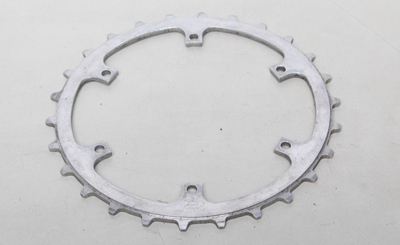 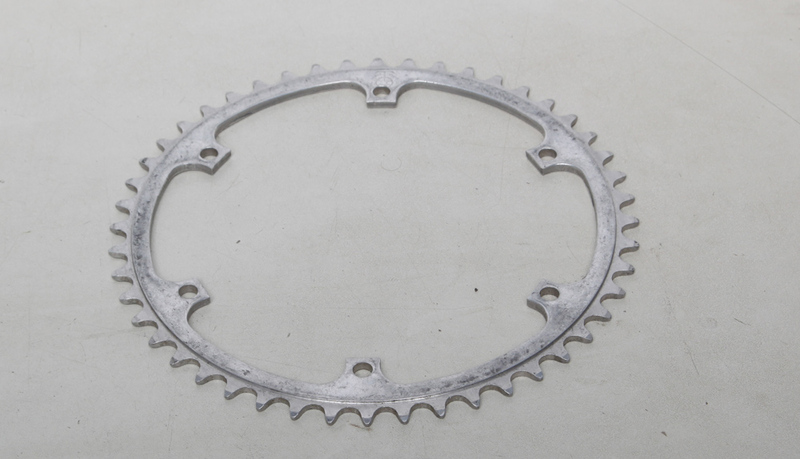 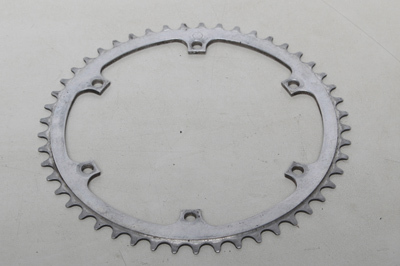 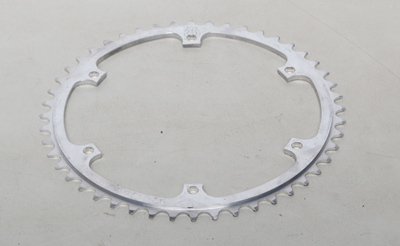 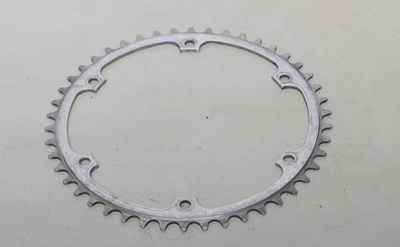 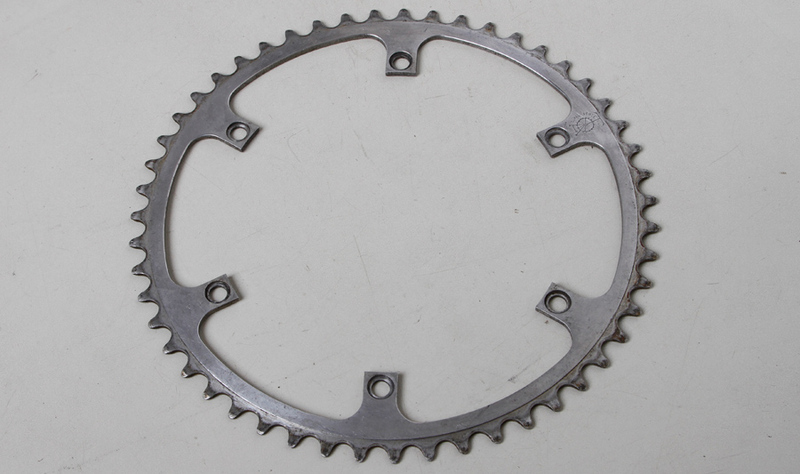 These were widely used in the 1950s and 1960s by road racers, track riders and timetriallists; they were not intended for touring and the smallest inner ring available is 43T. The adaptors could be fitted to Stronglight 49A, 49D and a variety of continental 5-pin cranks as well as TA's own cranks. 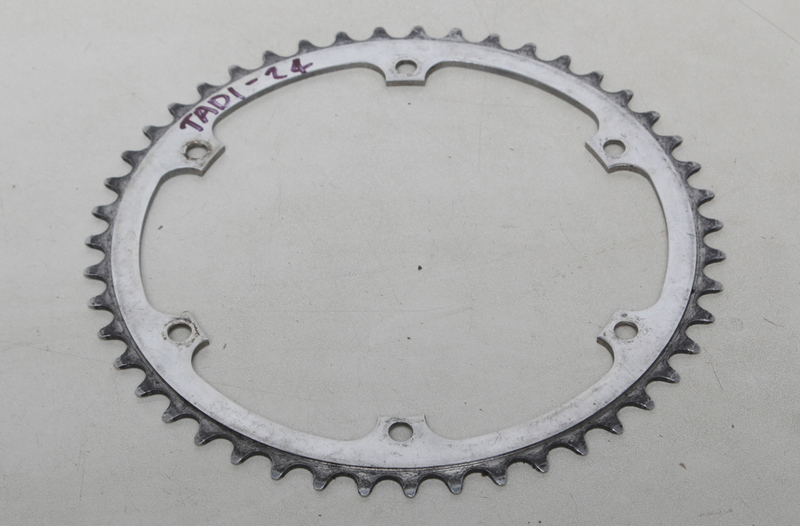 TA also made adaptors to fit the standard continental 116mm BCD 3-arm chainsets. I can supply both 3-arm and 5-pin adaptors. 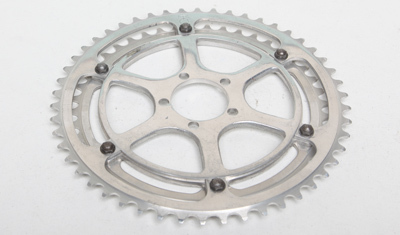 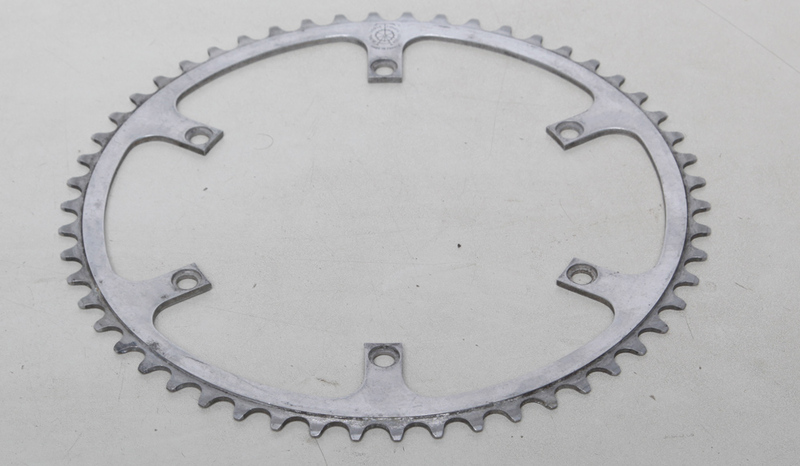 Single chainring adaptors were also available. 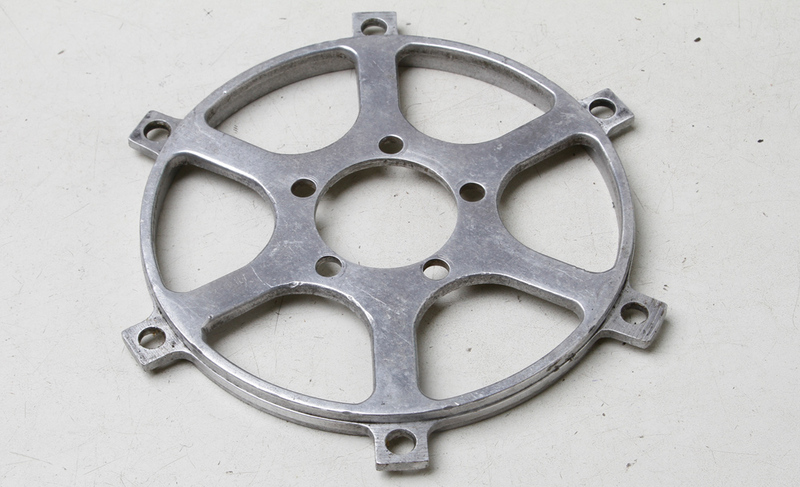 The sets with dome headed bolts date from the 1950s or early 1960s.